Hey, this post doesn’t belong to UX development, but this will be quite informative. 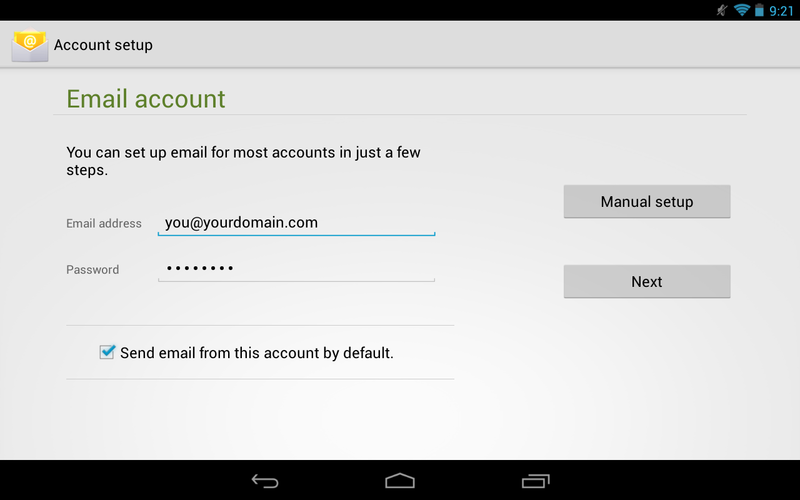 Till last month Google allowed you to configure emails of your personal domain for free. However they have changed their policy and it’s paid now, so if you would like to host an email, you@yourdomain.com then it’s no more free today. Google was the best you could have, but if you don’t like to pay then the secondary option is Microsoft accounts. To configure your domain with Microsoft, you could go here http://www.domains.live.com/ and ‘Get started’ with creating a custom domain. The registration process includes, registering your domain, verifying your domain and changing the domain MX records. Hope that you have done the Microsoft account registration part, and now let’s see how we could configure your email to an Android device. 1. Open the Android mail application. 2. Open the mail application settings page. 4. The account setup page opens. 5. Type in your email and your email password. Check the option ‘Send email from this account by default’ if this account is your main account that you wish you send and receive mails. 7. In the next screen you have the option to select, the type of account. 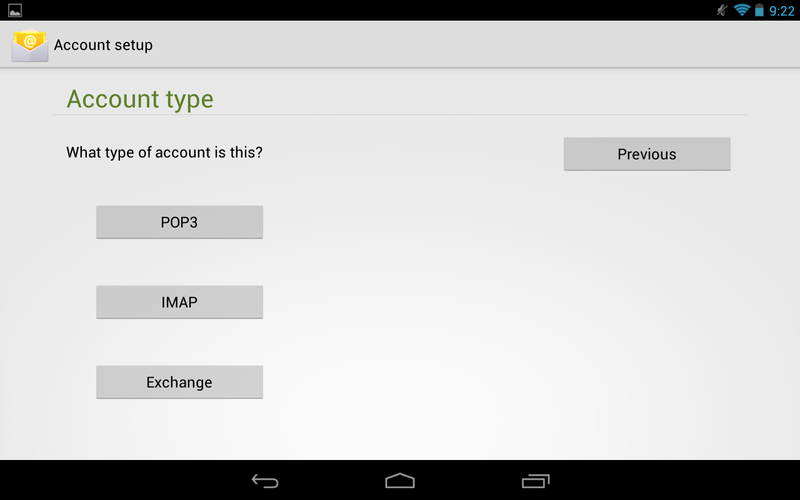 Unfortunately Microsoft doesn’t allow you to configure IMAP so click on button POP3. 8. Next screen you will have to enter the incoming server settings. Enter the details as shown in the screenshot above and click next. 9. 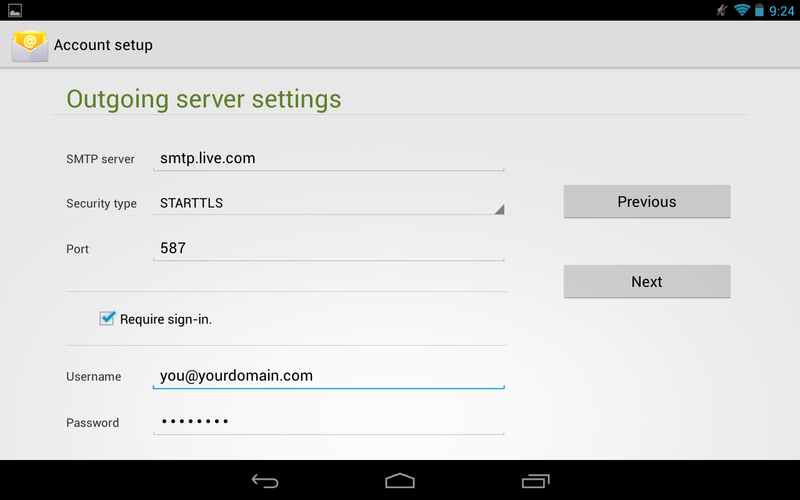 Next screen you will have to enter the Outgoing server settings. For some of you STARTTLS might sound new, for those who would like to know what STARTTLS is checkout the Wikipedia page. Now, if you select security type anything other than STARTTLS you will get error ‘Couldn’t connect to the server’ or ‘can’t safely connect to server’. 10. Once the outgoing servers are authenticated, all you have to do is next… next that’s it and the email account is configured. You could try these settings, may be for your web application for sending emails from a web form. I hope this post would have been helpful to you some way.